TYPICAL USAGE: Ascaris, hookworm, enterobius and trichuris. Tapeworms and strongyloidosis. Trichinosis. Neurocysticercosis. Cutaneous larva migrans. Hydatid disease. Filariasis. 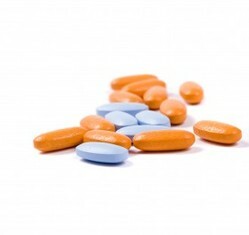 MECHANISM OF ACTION: Albendazole acts by blocking glucose uptake in the parasite and depletion of its glycogen stores. Intracellular microtubules in the cells of worm are gradually lost. It binds with microtubular protein ?-tubulin of the parasite with high affinity and inhibits its polymerization. Ambroxol HCL I.P. 15 mg.
Terbutaline Sulphate I.P. 1.25 mg.
Dexamethasone Tablets - 5 mg. MECHANISM OF ACTION:This medication is a corticosteroid.The medication reduces the action of chemicals that causes inflammation and redness. 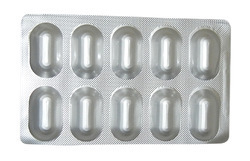 Mycophenolate mofetil is an immunosuppressant. 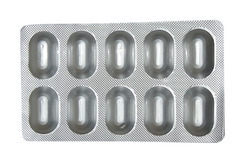 Mycophenolate Mofetil is indicated for the prophylaxis of organ rejection in patients receiving allogeneic renal, cardiac or hepatic transplants. Mycophenolate mofetil is used concomitantly with cyclosporine and corticosteroids. TYPICAL USAGE:Duodenal and gastric ulcers, reflux or ulcerative oesophagitis. Zollinger-Ellison syndrome. NSAID-induced ulcers. 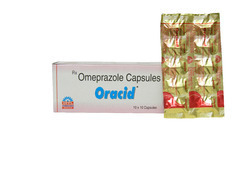 MECHANISM OF ACTION:Omeprazole is a proton pump inhibitor that suppresses gastric acid secretion by specific inhibition of the H+/K+-ATPase in the gastric parietal cell. 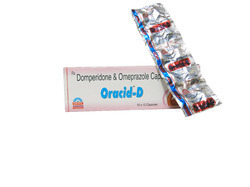 By acting specifically on the proton pump, omeprazole blocks the final step in acid production thus reducing gastric acidity. 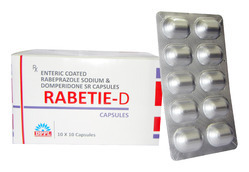 We manufacture the best quality of Rabeprazole & Domperidone DSR Capsules. 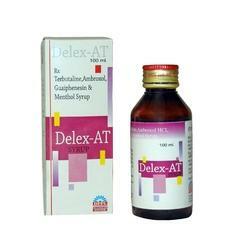 TYPICAL USAGE:Benign duodenal and gastric ulcer, Reflux oesophagitis,Acid peptic disease. MECHANISM OF ACTION:Ranitidine blocks histamine H2-receptors in the stomach and prevents histamine-mediated gastric acid secretion. 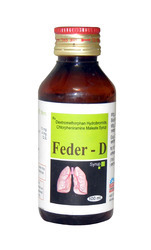 It does not affect pepsin secretion, pentagastrin-stimulated factor secretion or serum gastrin. TYPICAL USAGE:Duodenal and gastric ulcer. Chronic gastritis. MECHANISM OF ACTION:Sucralfate protects GI lining against peptic acid, pepsin and bile salts by binding with positively-charged proteins in exudates forming a viscous paste-like adhesive substance thus forming a protective coating. TYPICAL USAGE:Gastric ulcer, gastro-esophageal reflux disease,zollinger-ellison syndrome. MECHANISM OF ACTION:Esomeprazole is a proton pump inhibitor that suppresses gastric acid secretion by specific inhibition of the H+/K+-ATPase in the gastric parietal cell. By acting specifically on the proton pump, Esomeprazole blocks the final step in acid production, thus reducing gastric acidity. TYPICAL USAGE: NSAID associated ulceration, to prevent recurrence of neural tube defect. MECHANISM OF ACTION: Levocetirizine is the active R enantiomer of cetirizine. It has an affinity for H1 receptors approximately 2-fold higher than racemic cetirizine and therefore strongly inhibits allergic (wheal and flare) reactions. TYPICAL USAGE: Duodenal ulcer. Gastric ulcer. Reflux oesophagitis. Prophylaxis of NSAID associated peptic ulcer. Zollinger-ellison syndrome and other hypersecretory states. MECHANISM OF ACTION: Pantoprazole is a proton pump inhibitor (PPI) that suppresses the final step in gastric acid production by forming a covalent bond to two sites of the (H+,K+ )- ATPase enzyme system at the secretory surface of the gastric parietal cell. This effect is dose- related and leads to inhibition of both basal and stimulated gastric acid secretion irrespective of the stimulus. TYPICAL USAGE: Acute nausea and vomiting, dyspepsia, functional dyspepsia, gastric distension pain due to pressure on the stomach, gastro-oesophageal reflux disease, nausea and vomiting, nausea and vomiting (chemotherapy induced), nausea and vomiting (L-dopa induced), non-ulcer dyspepsia, reflux oesophagitis. MECHANISM OF ACTION: Domperidone is a peripheral dopamine D2-receptor antagonist, which regulates the motility of gastric and small intestinal smooth muscle. It increases the duration of antral and duodenal contractions and also LES resting pressure, thus stimulating gastric emptying and is also effective in relief of symptoms of reflux esophagitis. Antiemetic activity is due to the blockade of dopamine receptors in the chemoreceptor trigger zone. MECHANISM OF ACTION:Doxepin inhibits serotonin and norepinephrine re-uptake by the presynaptic neuronal membrane increasing its synaptic conc in the CNS. 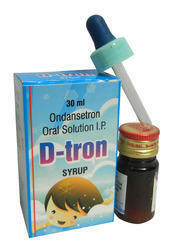 We manufacture Ondansetron - 2 mg syrup. Nausea & Vomiting Associated with gastritis & G. I. Infection. 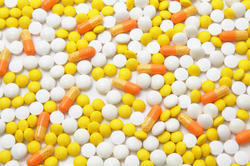 Dosage & Administration : Oral: Children: 5-10 ml per dose as needed, or as prescribed.